We offer a wide range of glazing options whether you are interested in a new frame or replacing the glass in one you already own. Each form of glazing has an appropriate use. As framing experts we can guide you through the options available. This is the glass that comes in most shop bought picture frames; we don’t use this glass unless it is specifically requested as it has a slight green tint. This can affect the way the colours appear when viewing the artwork. Water White is our ‘go to’ glass, it is a cost effective specialist glass for those working to a tighter budget. This glass does not affect the colours of the artwork or objects in the frame and offers a higher level of clarity to standard glass. There are many specialist glass manufacturers serving the conservation framing industry. 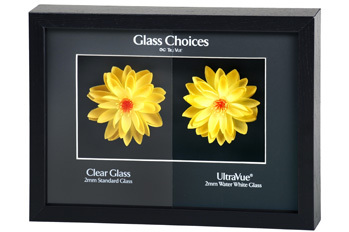 We choose to use Tru Vue® for their outstanding reputation for excellent products. 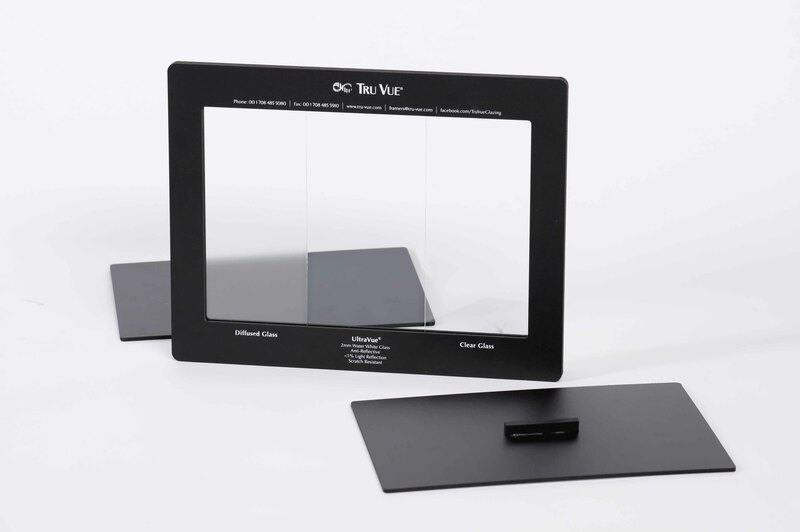 Tru Vue® offer a wide range of products from anti-reflective to UV Protective. The level of clarity is hugely increased when using specialist glass and the products speak for themselves. We have physical examples on hand during consultations. Although it can be more expensive than glass, acrylic sheet has become a popular alternative when framing large works. Acrylic is lighter, more flexible and will not shatter. Overall this option is for those looking to increase safety whilst reducing weight.